For those who were looking for something between the base Macan S and Macan Turbo. Porsche rolled in something really interesting at the 2015 Tokyo Motor Show. 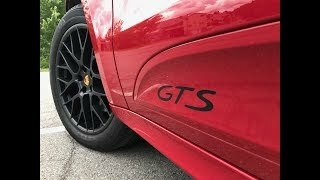 At the event company shared the all new Porsche Macan GTS 2017. The model brings a V6 beneath its hood pairing to PDK transmission. 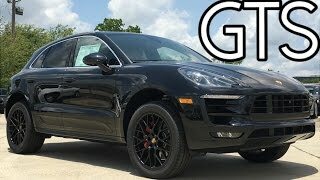 Let us have a look at the review of Porsche Macan GTS 2017 to know in detail about it. The interior of Porsche Macan GTS 2017 gets rounds of upgrades. Entering the cabin you’ll notice the leather and Alcantara wrapped seats featuring GTS logo on them. The essence of red stitching covers almost entire cabin and adds to the remarkable glory. The looks aren’t just the ‘wow’ factor inside this model but it also offers new infotainment system with Apple CarPlay connectivity. There are two systems inside the model; one features standard Porsche Connect including the CarPlay, 3D navigation with real-time traffic updates, LTE Wi-Fi hotspot and dynamic route calculations. The model is also equipped with Porsche Communication Management system. 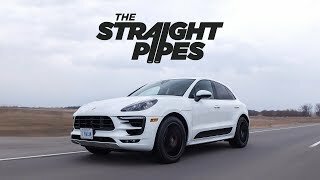 In all the interior of Porsche Macan GTS 2017 is a perfect blend of looks and technology. 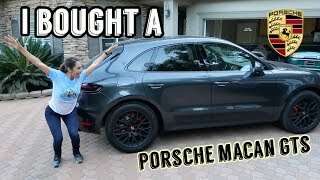 The exterior of Porsche Macan GTS 2017 is remarkably aggressive and has features that will undoubtedly steal the gleam while rolling over the streets. Starting with front fascia, it has a blacked-out grille amidst the optional LED headlights. Beneath them is a pair of fog lamps with smoked housings. Moving towards the rear end you’ll notice the six-piston red brake calipers sneaking through the exclusive 20-inch RS Spyder Design wheels. The rear portion of model makes it more sportive. It has chrome-tipped exhaust pipes integrated in its bumper. The LED taillights are covered by the smoked lenses while the tailgate carries black badging over it. In all concluding the exterior details of Porsche Macan GTS 2017 all I would say is, it is attractively sporty and aggressive. Powered by a 3.0 liter V6 engine, the Porsche Macan GTS 2017 rolls rumbling total output of 360 hp and peak torque of 500 nm paired to seven-speed PDK dual clutch transmission. With this power the top speed of Porsche Macan GTS 2017 can touch the mark of 159 mph while the 0-60 mph sprint can be knocked in 4.8 seconds.